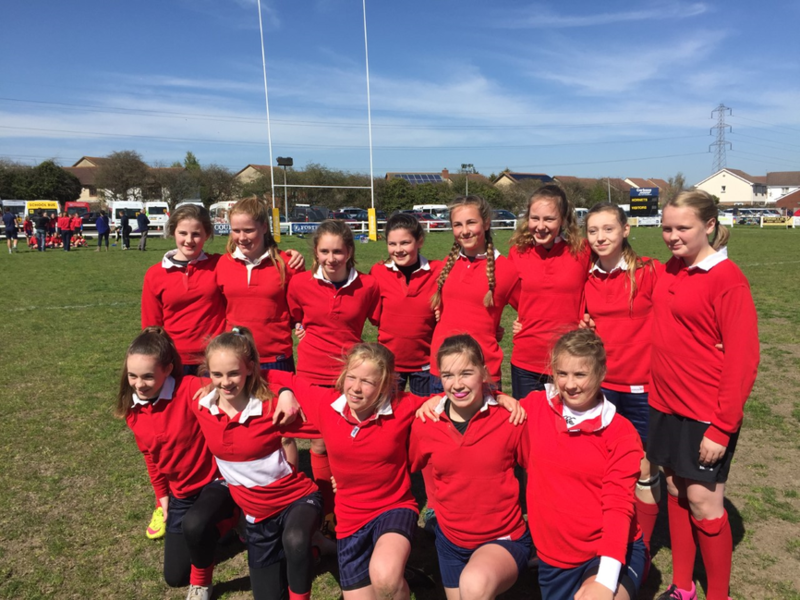 Yesterday 13 girls from Hugh Sexey's competed in the Schools' Rugby South West Finals at Hornets RFC. They won the tournament and came away winners, they now are going to represent the South West at the National Finals on Saturday 7th May at Lichfield RFC. 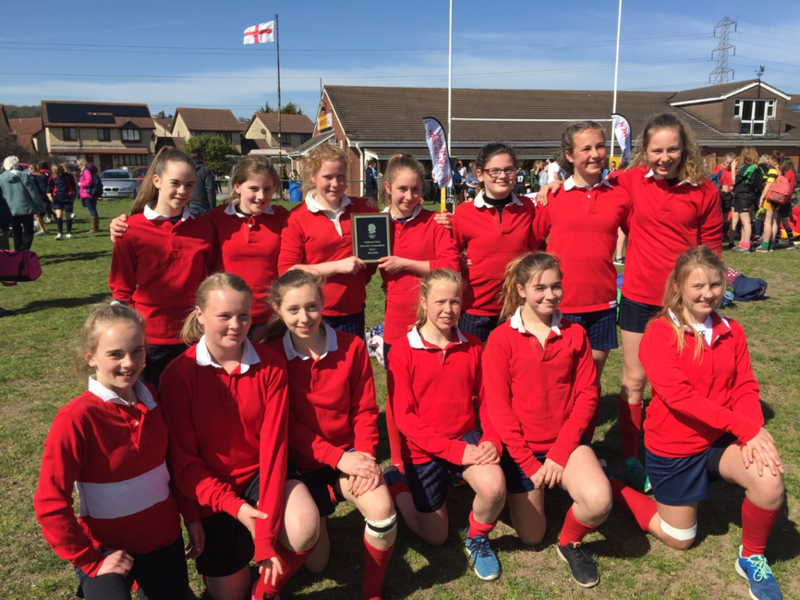 They played 5 games: firstly they were in a pool against schools from Gloucestershire, Cornwall, Devon and Wiltshire, then they played in the final against Kingsbridge, which they won 5 tries to nil. They really were absolutely fantastic. Throughout the day they scored a whopping 34 tries and conceded 0. The girls' team play, handling, defence, and running rugby has been superb from day one, and all their hard work and dedication in training is now paying off. These girls deserve to be congratulated; they truly did their school proud. Thank you for all your support it is really appreciated.